John... - - 'Got to Lose', Fiddler'S Elbow, Camden, Uk, 25.03.17. - JOHN - 'Got To Lose', Fiddler's Elbow, Camden, UK, 25.03.17. John... - - 'Got to Lose', Fiddler'S Elbow, Camden, Uk, 25.03.17. JOHN - 'Got To Lose', Fiddler's Elbow, Camden, UK, 25.03.17. 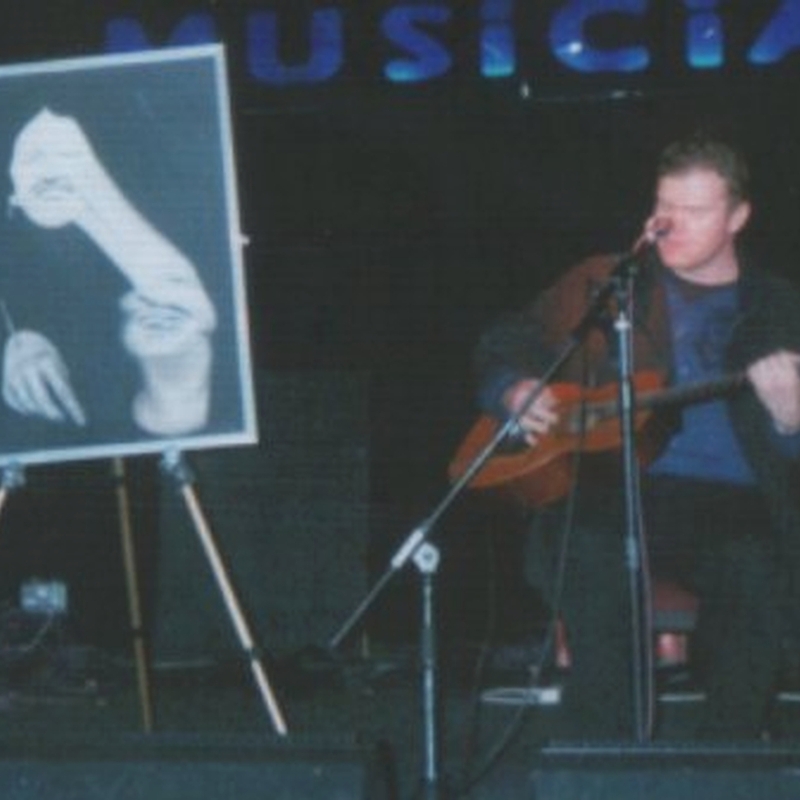 Perform original compositions and display original artwork as stage backdrop everywhere. 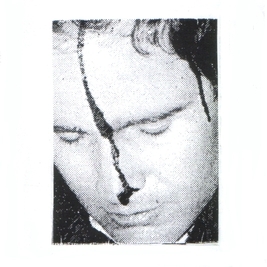 John... - 'it imploded' (2018) - 8-trk ltd cdr now available. http://johnartandsong.bandcamp.com/album/it-imploded-album-2018 New album out now. 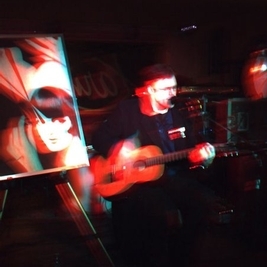 http://johnartandsong.bandcamp.com/track/live-in-derby-oct-2015-live-album Setlist : Own, The Cancelled Earth, Blind This Time, Secret Race, Quest For Yesterday, Loyalist And Mourner. 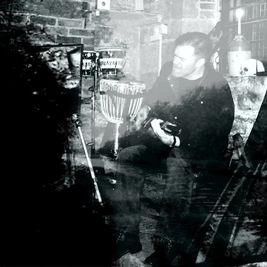 Recorded live at the Derby Gaol Museum, Derby, UK, October 2015 using a hand-held tape recorder. Mixed and mastered 2017. New single - 'You'll Breathe At The End Of Time' b/w 'Sunset Falls On Cemetery Hill' - out now on Bandcamp. 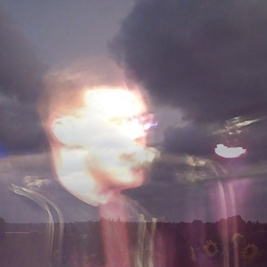 http://johnartandsong.bandcamp.com/album/taken-sudden-studio-album-2016 'TAKEN SUDDEN' - New album by John OUT NOW on BANDCAMP. http://johnartandsong.bandcamp.com/album/ultratruth-will-deliver-b-w-down-i-break-2-trk-single-2016 New single and b-side out now. Release date September 2016. A ltd. picture CDr will be available with a track - 'I End (Here) (live, the Soundhouse, Leicester, UK, April 2016)' - which is unavailable elsewhere and will be sold at the forthcoming Musicians Against Homelessness via Crisis charity evening on Saturday 1st October 2016 at the Soundhouse, Leicester, UK, where all the profits of the CDr's sales will go directly to the said charity. John's new single - 'Ultratruth Will Deliver' / 'Down I Break' - will be released on Bandcamp on Monday 5th September 2016. There is also a ltd. picture CDr of the new single plus an extra track - 'I End (Here) (live at The Soundhouse, Leicester, UK, 05.07.16)' - that'll be unavailable elsewhere. This picture CDr will be available at John's forthcoming performance at the Soundhouse on Saturday 1st October 2016 where he'll be part of the Musician's Against Homelessness Supporting Crisis charity event that evening, starting at 6:00pm. The CDr will be £2.00 and all the proceeds will go towards the said charity. All welcome! John... - - new single 'ultratruth will deliver' released 05.09.16 on bandcamp. 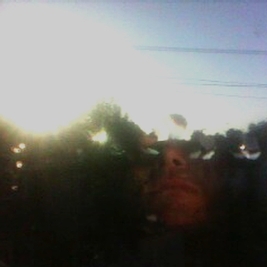 http://johnartandsong.bandcamp.com/album/trial-b-w-sunbank-2-trk-single-2016-2 John's new single out now on Bandcamp. John's new single - 'Trial' - will be available to download on Monday 18th April 2016 on Bandcamp. 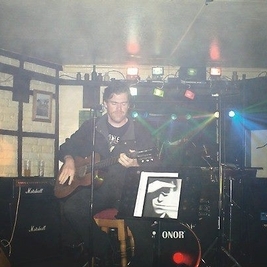 He will be playing at The Sitwell Tavern in Derby on the same evening. John... - John's new single - 'trial' - will be available to download on monday 18th april 2016 on bandcamp. 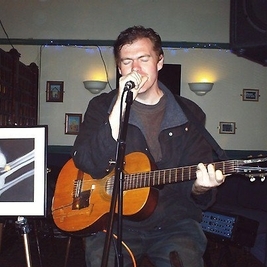 he will be playing at the sitwell tavern in derby on the same evening. - Karn's, Hinckley, Leicestershire,Autumn 2010. John... - - karn's/ hinckley/ leicestershire/autumn 2010. New single from John available now on Bandcamp. 'Live In Leicester 04.06.15.' Live album (2015). 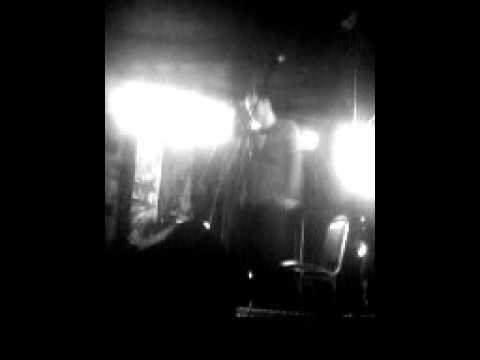 Live performance recorded at The Shed, Leicester, UK, 4th June 2015. Also available as bonus to the 'Works On Soon' compilation album. http://johnartandsong.bandcamp.com/album/episode-4-trk-e-p-2015 John's new single - 'Episode' - out now as a 4 track e.p. on Bandcamp. 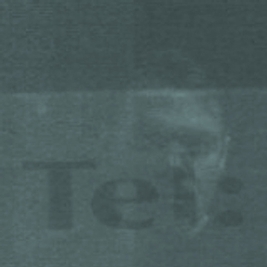 John's new 4-trk single e.p - 'Episode' - will be released Monday 23.11.15 on Bandcamp. 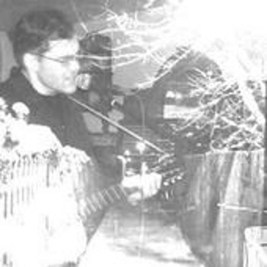 http://johnartandsong.bandcamp.com/album/works-on-soon-the-complete-a-sides-1996-2015-l-p-compilation-live-in-leicester-040615-l-p The entire a-sides releases of John that started from Autumn 1996 up to May 2015 plus bonus live album 'Live In Leicester 04.06.15' out now on Bandcamp. 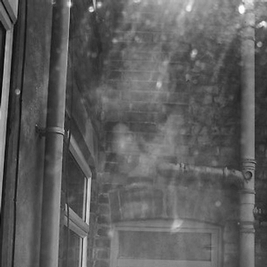 John... - Derby gaol/ derby/ uk/ 09.10.15. photo by william mcgiven. 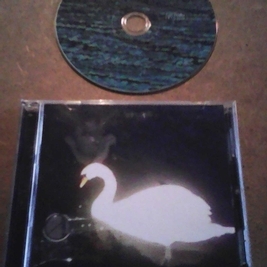 http://johnartandsong.bandcamp.com/album/naked-claw-2-2014 Tracklisting : 'Spluttering After The Ramming' (05:04), 'Break Each' (10:47), 'Subjugated Setpoint' (10:46), 'Meteor Inhale' (04:53), 'Coral Cutting' (06:09), 'Polewire' (14:51). 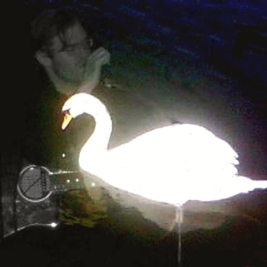 http://johnartandsong.bandcamp.com/album/resource-live-l-p-2009 'Resouce (live 1999-2008)' (2012) Recorded from a selection of John's live performances between 1999 to 2008 using a hand-held tape-recorder. All compositions copyright John 2009. 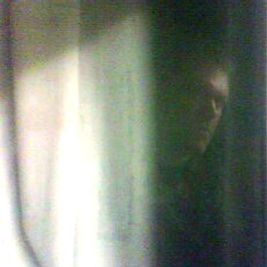 Originally released as a ltd. picture CDr, 2009. Live legacy series Vol.1. 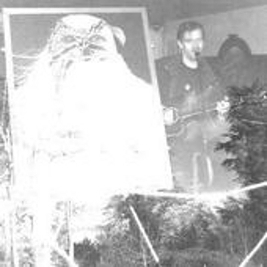 http://johnartandsong.bandcamp.com/album/edition-live-2012 "EDITION" (live) (2012) Previously unreleased recording of an entire live performance at the Shed, Leicester, 18th July 2008, using a tape-recorder. 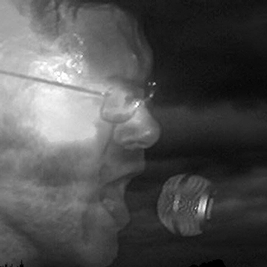 http://johnartandsong.bandcamp.com/album/presented-live-2012 Previously unreleased live recording of entire performance as part of the EQ Festival at the Musician, Leicester, UK, March 2009.
http://johnartandsong.bandcamp.com/album/secret-race-2000-version-blind-this-time-2000-version-dbl-a-side-2000 'Secret Race (2000 version​)​'​/​'Blind This Time (2000 version​)​' dbl a​-​side (2000) Originally released as a dbl a-side dl via the HTT website in 2000.
http://johnartandsong.bandcamp.com/album/city-live-2012 'City' (live album released 2012) Recorded live at the Shed in Leicester, August 2006 using a hand-held tape-recorder. 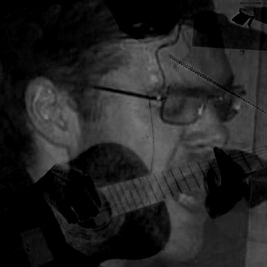 http://johnartandsong.bandcamp.com/album/then-they-rose-pave-3-trk-dbl-a-side-e-p John's new single - a dbl a-side 3-trk e.p. featuring 'Then They Rose', 'Pave' and 'Deletion Display' - is out now on Bandcamp. 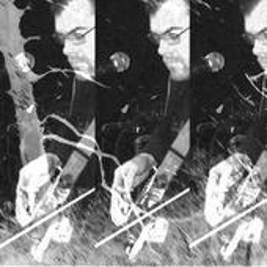 http://johnartandsong.bandcamp.com/album/this-cancerous-evening-e-p John's new single e.p. is available to download on Bandcamp NOW. The link is below. 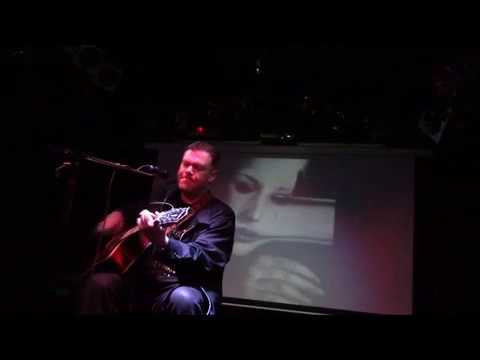 Tracks : 'This Cancerous Evening', 'Enough Truth', 'Great Dirt' and 'Blind This Time (live acoustic @ the Financier, Paris, France, July 2012)'. 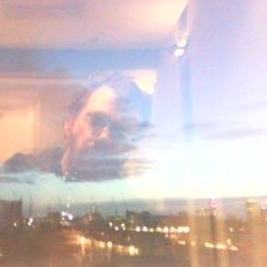 John's new 4 track single - the 'Aurumsong' e.p. - will be released on Bandcamp on Monday 30.06.14. 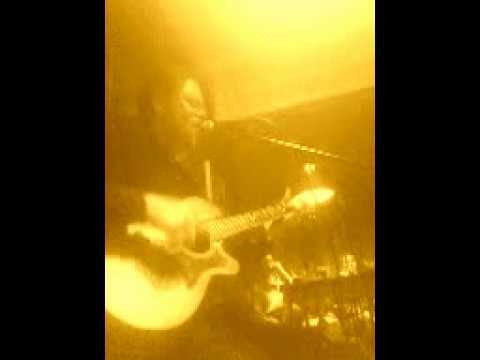 Tracks inc. 'Aurumsong', 'Any Knife'll Do', 'To A Close' and 'The Mind At Rest (live acoustic @ Ludwig, Amsterdam, NL, 25.08.13). 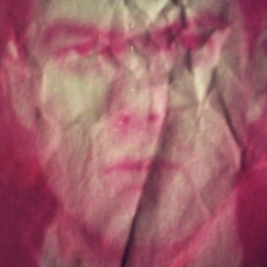 John... - - the 'aurumsong' e.p./ released on bandcamp 30.06.14.
http://johnartandsong.bandcamp.com/album/crystal-music-e-p NEW E.P. SINGLE OUT NOW ON BANDCAMP, FEAT. CRYSTAL MUSIC, ALTOGETHER PAST AND LEVELHOLD. 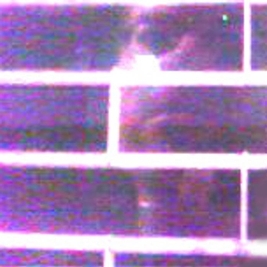 John... - - 'crystal music'/ new 3 track e.p. http://johnartandsong.bandcamp.com/album/this-isnt-my-heart-e-p Originally released in 2010 and still available on iTunes, Emusic, Spotify and all other download sites. 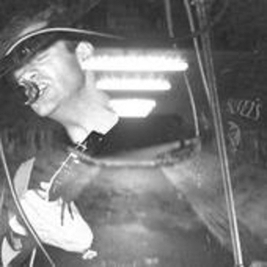 http://johnartandsong.bandcamp.com/album/death-like-ours-e-p NEW EP BY JOHN ON BANDCAMP - DEATH LIKE OURS, NO-ONE ELSE NO-ONE, NEW FIRE DRIVE - OUT NOW! 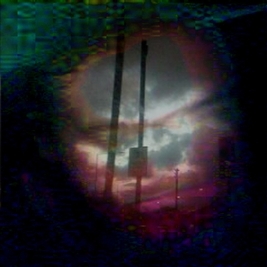 http://johnartandsong.bandcamp.com/album/your-urban-body-dying-just-dying-dbl-a-side Dbl a-side dl single from John'. Written and recorded by John', 2013. Copyright John' 2013. 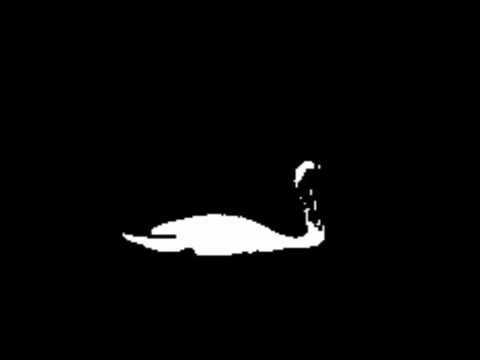 A dissidentchannel release. http://johnartandsong.bandcamp.com/album/i-end-here-new-single-version-4-trk-e-p 4 track e.p. by John' released Monday 24th June 2013, featuring 'I End (Here) (new single version)', 'In Perfect Pain', 'Own (live, Sumo, Leicester, summer 2010)' and 'Wider Visits (live, Sumo, Leicester, summer 2010)'. 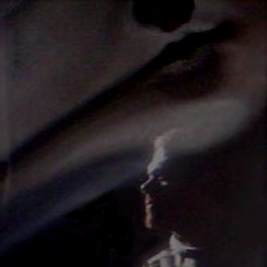 Another version of 'I End (Here)' will be available on the new album dl 'THE NUMBER OF LIVES', released on Bandcamp, 1st July 2013.
http://johnartandsong.bandcamp.com/album/the-cancelled-earth-e-p 3 track dbl a-side e.p. by John released November 2013. Lyrics to all 3 tracks included. A dissidentchannel release. 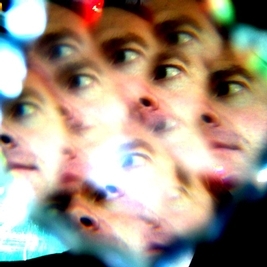 http://johnartandsong.bandcamp.com/album/going-new-version-single-mix-e-p Single mix of track from John's 2013 album 'THE NUMBER OF LIVES'. Copyright 2011. E.p. originally released and still available on iTunes, Emusic, Napster, Rhapsody, Spotify etc. in 2011. 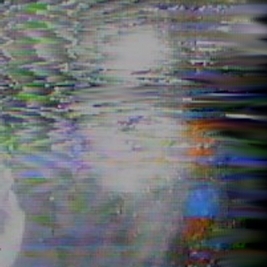 A dissidentchannel reissue. 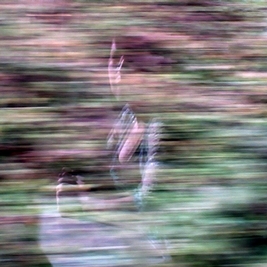 http://johnartandsong.bandcamp.com/album/nettle-remix-e-p 3 track single by John, specially released via Bandcamp. 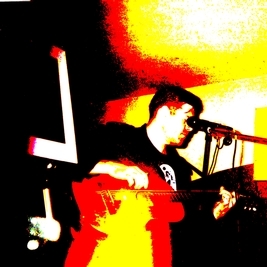 Remixed and remastered with additional instrumentation in 2012 from the original track on the 2010 album release "THE SKY'S BEEN CUT", plus two live tracks recorded at Cafe Impressions, Hinckley, Leicestershire, May 2012. John's new 3 track e.p 'THE CANCELLED EARTH' / 'SAME OLD STRANGER' / 'YOUR HANDS DID THIS' will be be released and available to download on Bandcamp on 25/11/13. http://johnartandsong.bandcamp.com/album/the-mind-at-rest-new-single-edit-e-p 3-trk e.p. originally released in 2011and still available on iTunes, Emusic, Napster, Spotify, Rhapsody, etc. A-side is single edit of track from John's new album 'THE NUMBER OF LIVES'. E.p. 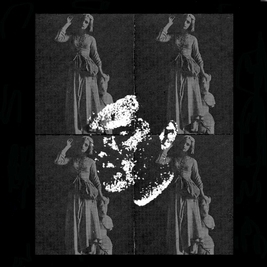 reissued in 2013 on Bandcamp. This reissue marks John's entire output of record releases - so far - have now all been reissued and are available to download on Bandcamp. Brand new 4 track e.p. by John' released Monday 24th June 2013, featuring 'I End (Here) (new single version)', 'In Perfect Pain', 'Own (live, Sumo, Leicester, summer 2010)' and 'Wider Visits (live, Sumo, Leicester, summer 2010)'. Another version of 'I End (Here)' will be available on the new album dl 'THE NUMBER OF LIVES', released on Bandcamp, 1st July 2013. 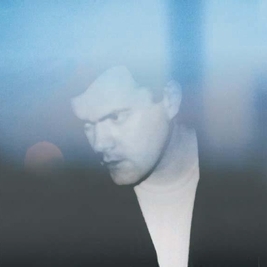 New single mix of track now reissued on Bandcamp from John's new album 'THE NUMBER OF LIVES', to be released on 1st July 2013. Copyright 2011. E.p. originally released and still available on iTunes, Emusic, Napster, Rhapsody, Spotify etc. in 2011. 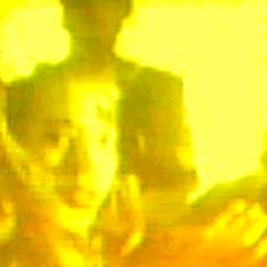 A dissidentchannel reissue. 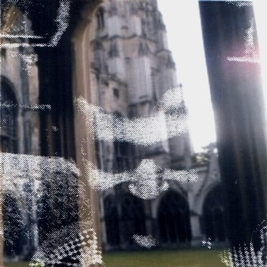 JOHN' 'Your Urban Body'/'Dying, Just Dying' new dbl a-side dl AVAILABLE NOW on BANDCAMP. 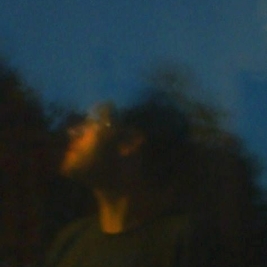 johnartandsong.bandcamp.com. 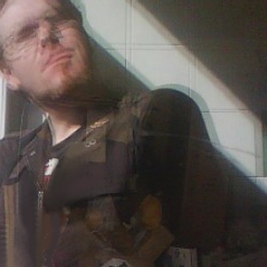 A brand new dbl a-side download single release form John' available NOW on BANDCAMP. John' performing @ Ain't Nothin' But..., Carnaby Street, London, UK, November 2012. 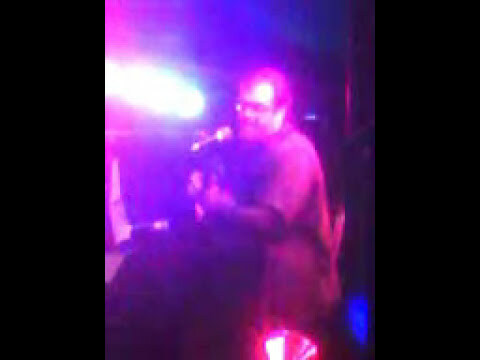 John... - John' performing @ ain't nothin' but..../ carnaby street/ london/ uk/ november 2012. 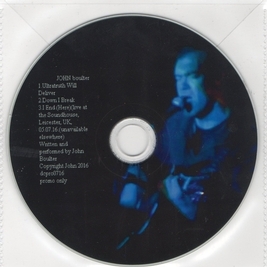 "OUT CAME WITHIN", John's acoustic CD album from 2005, has now been reissued on Bandcamp. 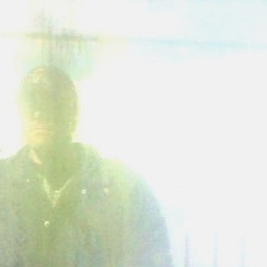 John... - "out came within"
3-trk dl e.p. released 2011, still available on all download sites, featuring 'The Mind At Rest (new version single edit)', 'Representative' and 'The Unfinished Positive'. John at the Musician, Leicester, UK, Summer '09 at a LOROS charity event. 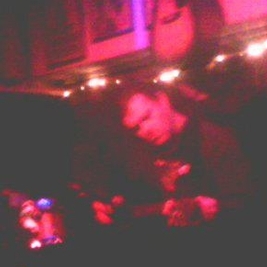 John performing at the Dun Cow, Shrewsbury, UK, Aug. '11. John'...singer/songwriter and artist, Leicestershire, UK. 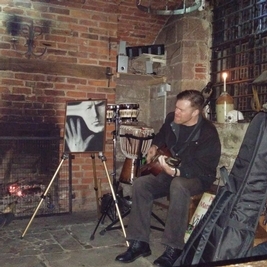 JOHN Boulter - medley, live, Chirk Aquaduct, Wales and England, UK, 30.03.19. 'Secret Race' / 'The Mind At Rest' / 'The Cancelled Earth' medley performed on the borderline of the path on the Chirk aquaduct seperating Wales and England, performing in two countries simultaneously. 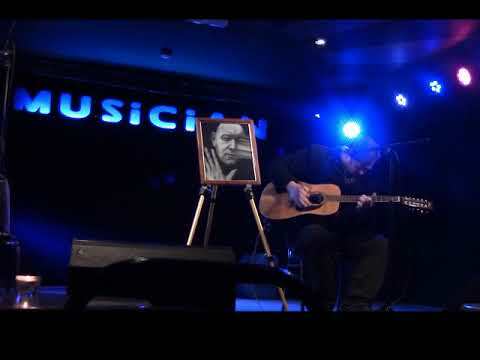 JOHN Boulter - 'Death Like Ours (live, the Musician, Leicester, UK, 23.3.19)'. Part 3 of 3. 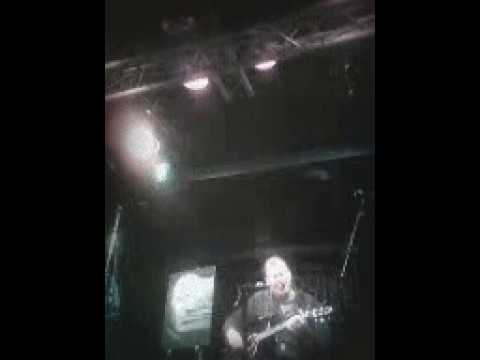 John... - Boulter - 'death like ours (live/ the musician/ leicester/ uk/ 23.3.19)'. 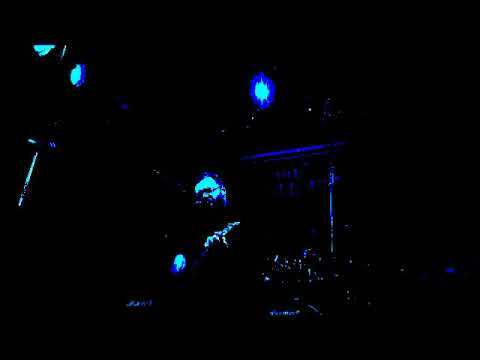 John... - Boulter - 'glacier ground (live/ the musician/ leicester/ uk/ 23.3.19)'. 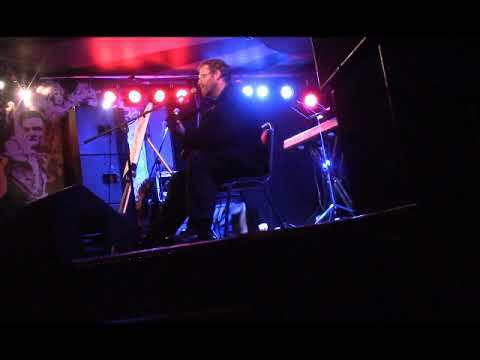 JOHN Boulter - 'You'll Breathe At The End Of Time (live, the Musician, Leicester, UK, 23.3.19)'. Part 1 of 3. 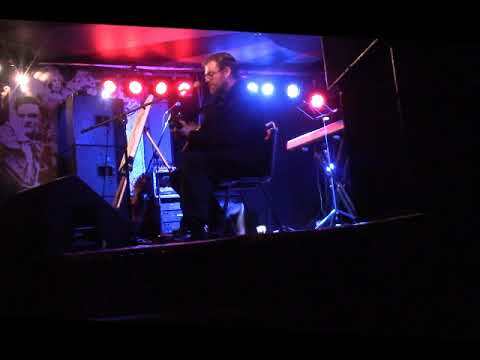 John... - Boulter - 'you'll breathe at the end of time (live/ the musician/ leicester/ uk/ 23.3.19)'. 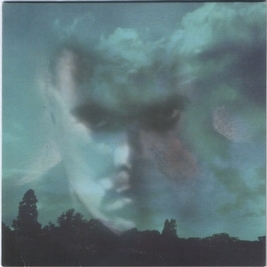 JOHN Boulter - 'This Death Forever' ltd. 1-trk cassette single released 1994 remastered. 1 Track cassette single released 1994 remastered 2017. Available on Bandcamp on it's own and on 'PREFERENCE ISN'T EVIDENCE (singles 1989- 1999)' compilation. 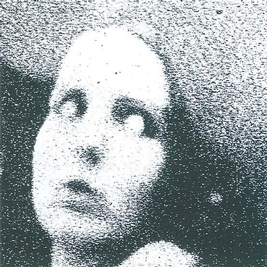 John... - Boulter - 'this death forever' ltd. 1-trk cassette single released 1994 remastered. 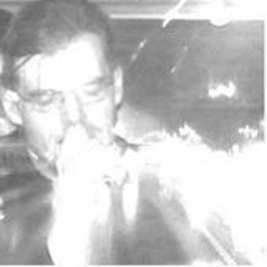 JOHN Boulter - 'Own' / 'Secret Race (version 2)' ltd. cassette single released 1993 remastered. Limited cassette single released 1993. Remastered 2017 and available on Bandcamp on it's own and on 'PREFERENCE ISN'T EVIDENCE (singles 1989-1999)' compilation. 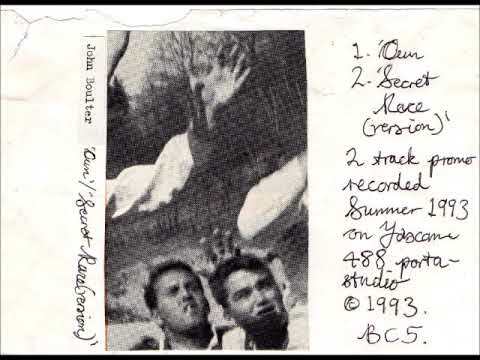 John... - Boulter - 'own' / 'secret race (version 2)' ltd. cassette single released 1993 remastered. 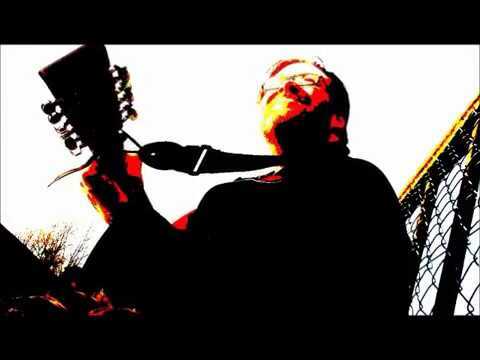 JOHN boulter - 'Blind This Time (live, the Musician, Leicester, UK, 18.02.19)'. mPart 3 of 3. 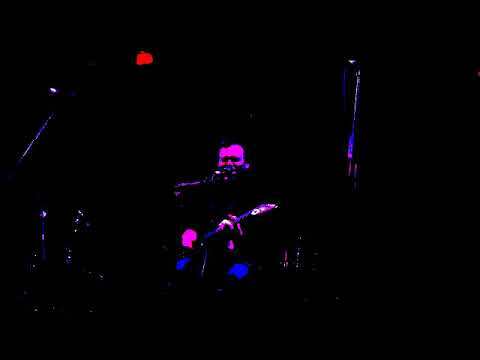 John... - Boulter - 'blind this time (live/ the musician/ leicester/ uk/ 18.02.19)'. 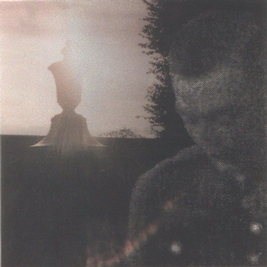 JOHN boulter - 'Last Of All' / 'Going' ltd. dbl a-side cassette single released 1992 remastered. 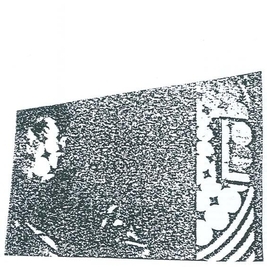 Limited cassette single released in 1992. Remastered 2017 and avilable on Bandcamp on it's own and on 'PREFERENCE ISN'T EVIDENCE (singles 1989-1999)' compilation. 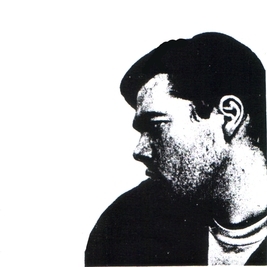 John... - Boulter - 'last of all' / 'going' ltd. dbl a-side cassette single released 1992 remastered. JOHN boulter - 'You'll Breathe At The End Of Time (live, the Musician, Leicester, UK, 19.02.19)'. Part 2 of 3. 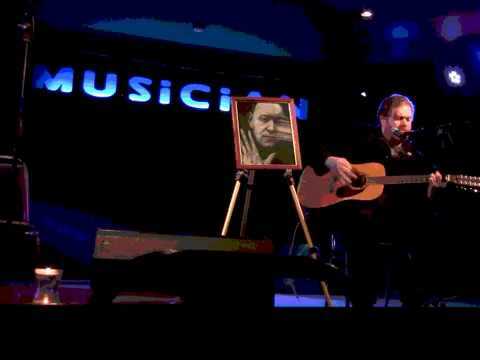 John... - Boulter - 'you'll breathe at the end of time (live/ the musician/ leicester/ uk/ 19.02.19)'. 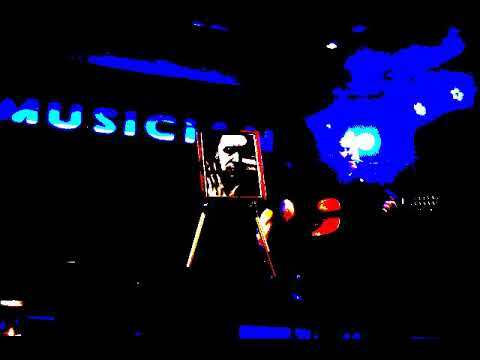 JOHN Boulter - 'The Mind At Rest (live, the Musician, Leicester, UK, 18.02.19)'. Part 1 of 3. 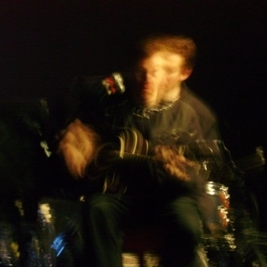 John... - Boulter - 'the mind at rest (live/ the musician/ leicester/ uk/ 18.02.19)'. 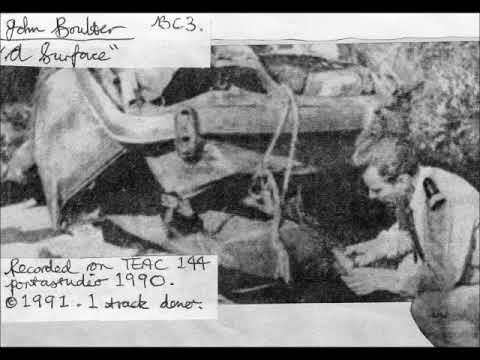 JOHN boulter 'A Surface' ltd. 1-trk cassette single released 1991 remastered. Limited cassette single released 1991. Track remade and retitled 'Believe Us, Amen' for 2013 album release 'THE NUMBER OF LIVES'. Original track remastered 2017 and available on Bandcamp on it's own and on 'PREFERENCE ISN'T EVIDENCE (singles 1989-1999)' compilation. 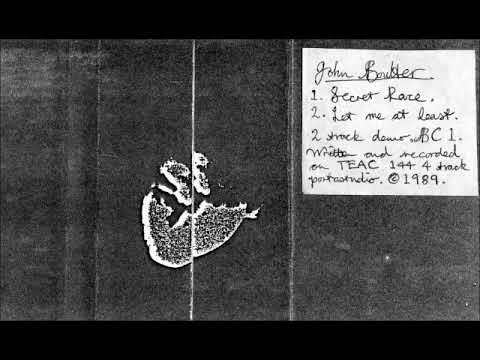 John... - Boulter 'a surface' ltd. 1-trk cassette single released 1991 remastered. 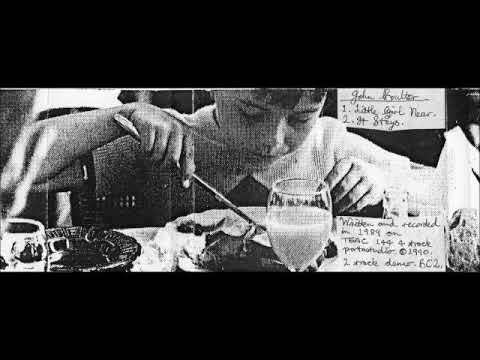 JOHN boulter - 'Little Girl Near' / 'It Stays' ltd. cassette single released 1990 remastered.Second single release from 1990 remastered 2017. Available on Bandcamp on it's own and on 'Preference Isn't Evidence (singles 1989-1999)' compilation. 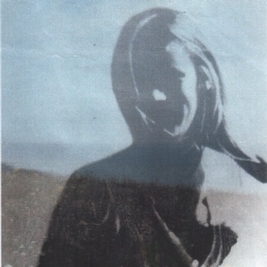 John... - Boulter - 'little girl near' / 'it stays' ltd. cassette single released 1990 remastered. 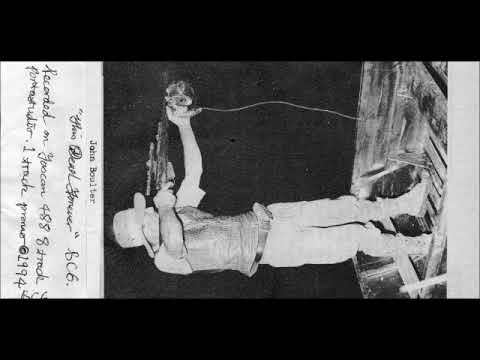 JOHN boulter - 'Least' / 'Secret Race' ltd. dbl a-side cassette single released 1989 remastered. John's first ever single release - 'Least' / 'Secret Race' ltd. dbl a-side cassette single released 1989 - remastered 2017 and available on Bandcamp on it's own and on 'Preference Isn't Evidence (singles 1989-1999) compilation album. 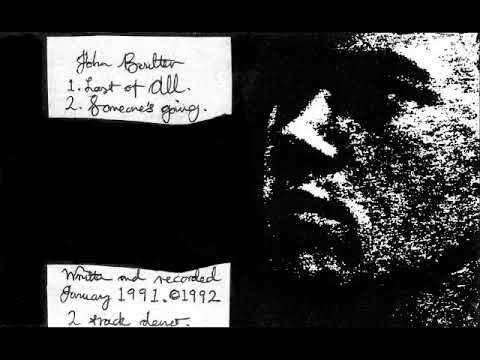 John... - John boulter - 'least' / 'secret race' ltd. dbl a-side cassette single released 1989 remastered. 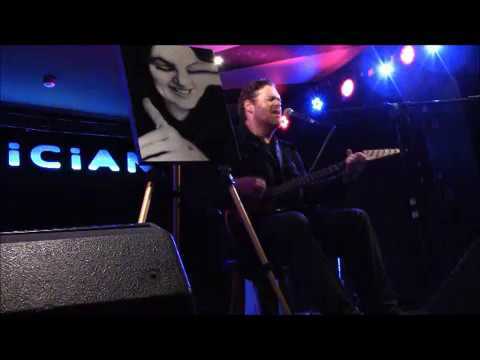 JOHN boulter - 'Time To Finish Them (live, the Musician, Leicester, UK, 29.01.19)'. Part 4 of 4. John... - John boulter - 'time to finish them (live/ the musician/ leicester/ uk/ 29.01.19)'. JOHN boulter - 'Got To Lose (live, the Musician, Leicester, UK, 29.01.19)'. Part 3 of 4. John... - John boulter - 'got to lose (live/ the musician/ leicester/ uk/ 29.01.19)'. 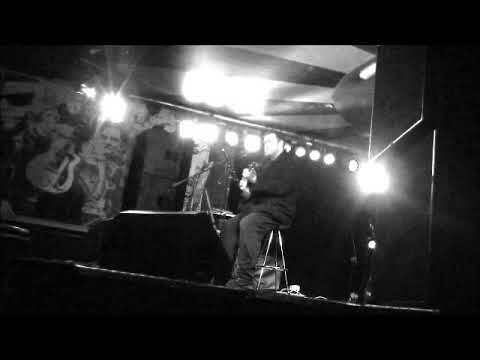 JOHN boulter - 'Death Like Ours (live, the Musician, Leicester, UK, 29.01.19)'. Part 2 of 4. 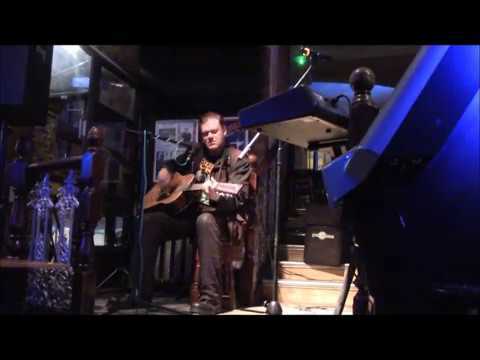 John... - John boulter - 'death like ours (live/ the musician/ leicester/ uk/ 29.01.19)'. JOHN boulter - 'I End (Here) (live, the Musician, Leicester, UK, 29.01.19)'. Part 1 of 4. 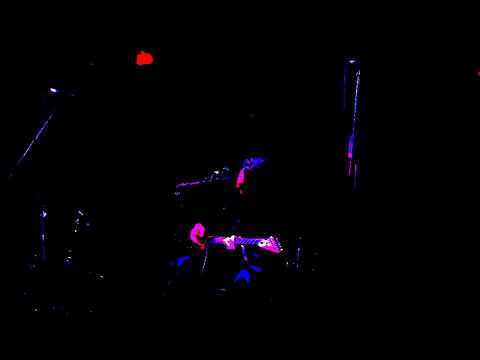 John... - Boulter - 'i end (here) (live/ the musician/ leicester/ uk/ 29.01.19)'. 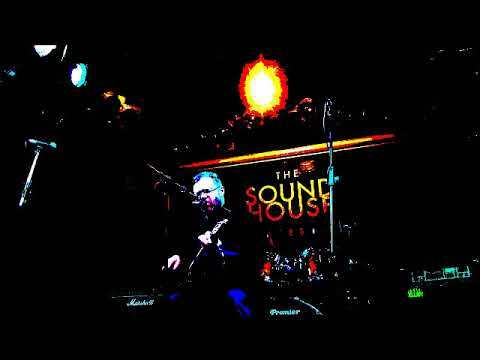 JOHNboulter - 'No-one Else No-one (live, the Soundhouse, Leicester, UK, 18.12.18)'. 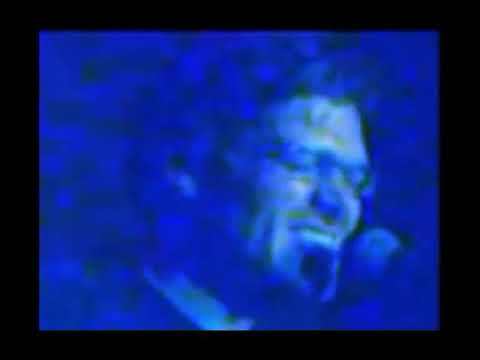 John... - - 'no-one else no-one (live/ the soundhouse/ leicester/ uk/ 18.12.18)'. 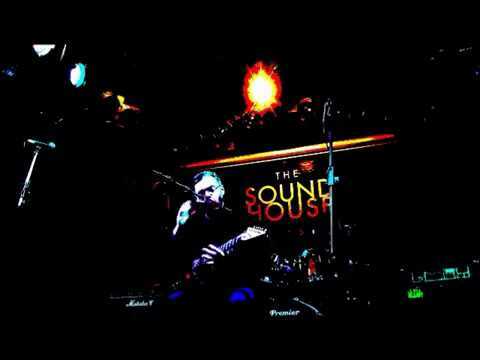 JOHNboulter - 'Glacier Ground (live, the Soundhouse, Leicester, UK, 18.12.18)'. 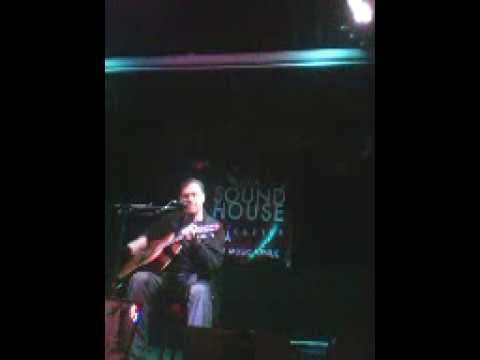 John... - - 'glacier ground (live/ the soundhouse/ leicester/ uk/ 18.12.18)'. 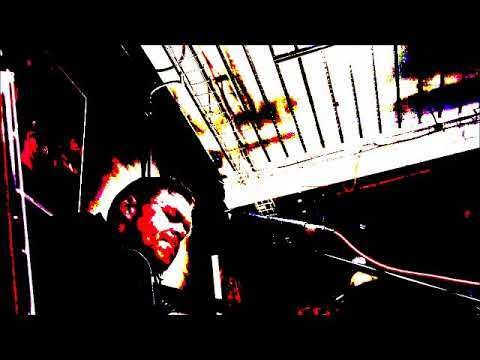 JOHNboulter - 'Death Like Ours (live, the Soundhouse, Leicester, UK, 18.12.18)'. 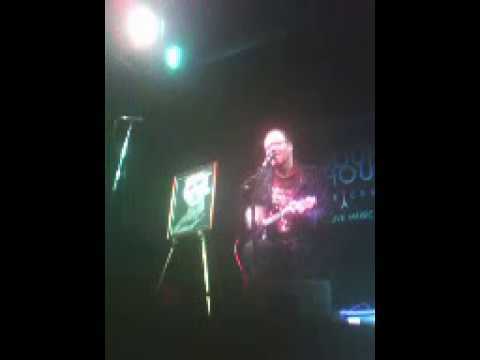 John... - Boulter - 'death like ours (live/ the soundhouse/ leicester/ uk/ 18.12.18)'. 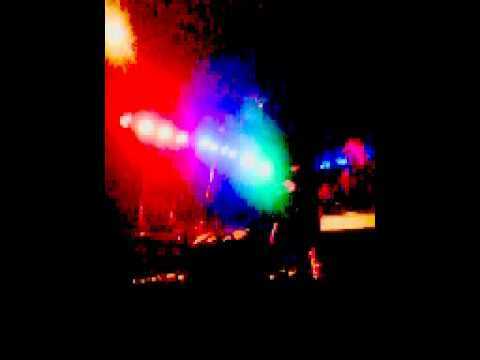 JOHN boulter, live @ the Ludwig, Amsterdam, NL, 25.08.13 remastered.  Remastered from original footage. Tracks : Secret Race, Own, The Mind At Rest. 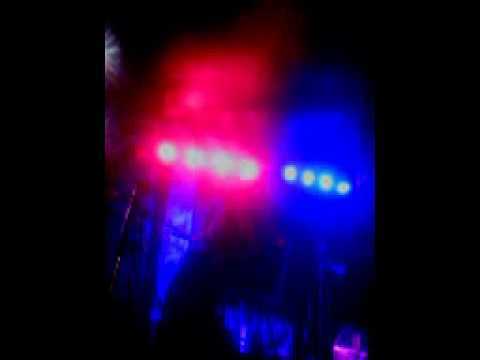 John... - Boulter/ live @ the ludwig/ amsterdam/ nl/ 25.08.13 remastered. JOHN boulter - 'Dying, Just Dying (the Soundhouse, Leicester, UK, 16.10.18)'. John... - Boulter - 'dying/ just dying (the soundhouse/ leicester/ uk/ 16.10.18)'. 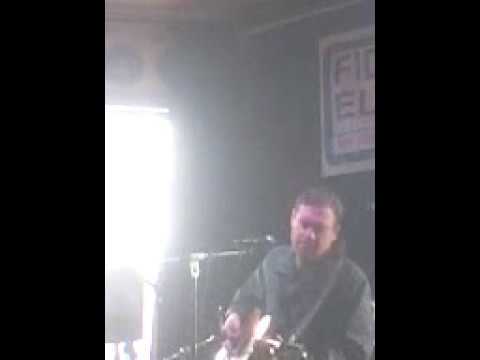 JOHN boulter, live footage, The Fleece, Whitby, Yorks., UK, 27.08.18. 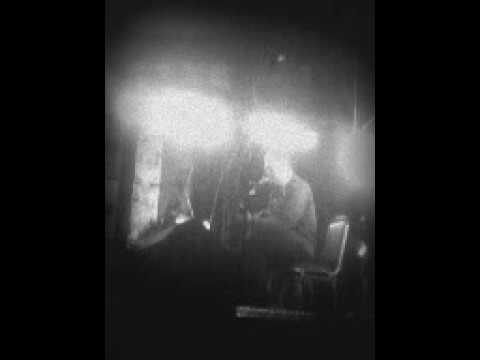 John... - Boulter/ live footage/ the fleece/ whitby/ yorks./ uk/ 27.08.18. 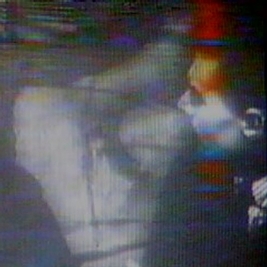 JOHN boulter - 'On Panel' video. 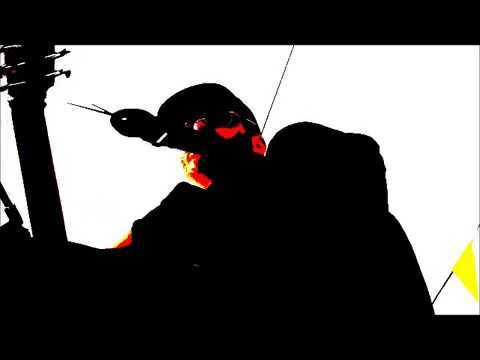 Single mix from 2006 release set to 2008 video edit of acoustic remix version. 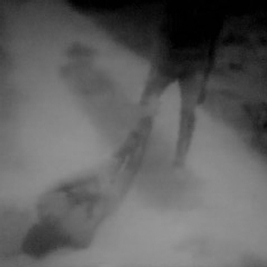 Filmed and edited 2008. 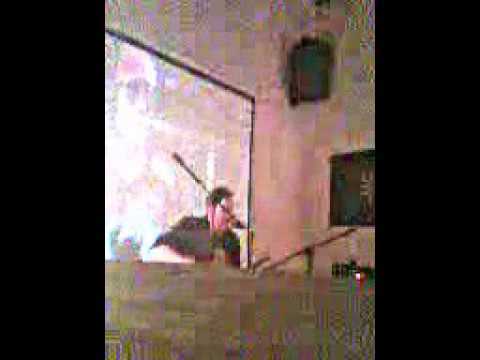 John... - Boulter - 'on panel' video. JOHN boulter, live footage, the George, Whitby, Yorks., UK, 23.08.18. 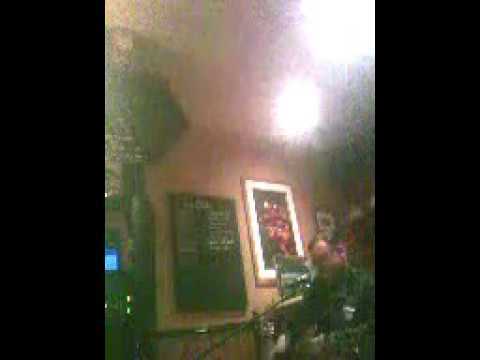 John... - Boulter/ live footage/ the george/ whitby/ yorks./ uk/ 23.08.18. 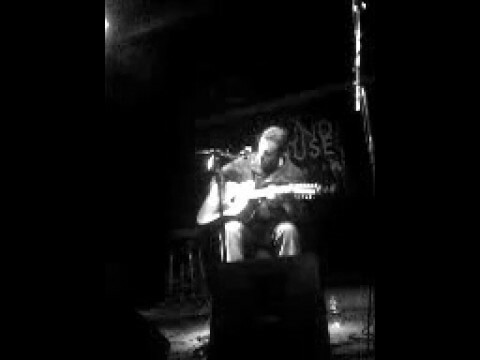 JOHN boulter, the Shed, Leicester, UK, footage, 22.1018. 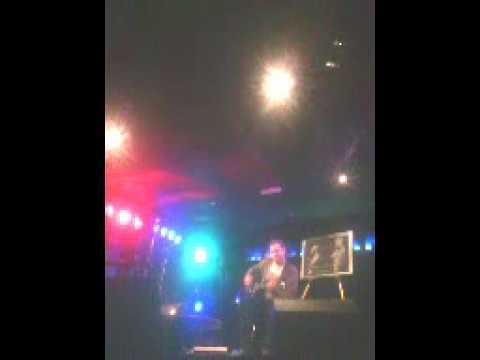 John... - Boulter/ the shed/ leicester/ uk/ footage/ 22.1018. JOHN boulter, 'Got To Lose (the Soundhouse, Leicester, UK, 23.10.18)'. John... - 'got to lose (the soundhouse/ leicester/ uk/ 23.10.18)'. 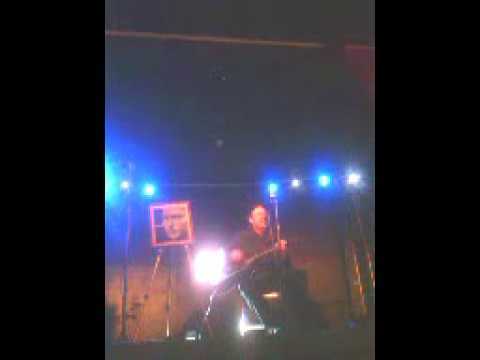 JOHN boulter, live @ the Attic Bar, Skegness, Lincs., UK 08.09.18. Setlist : I End (Here), Secret Race, Death Like Ours, You'll Breathe At The End Of Time, Glacier Ground, The Cancelled Earth. 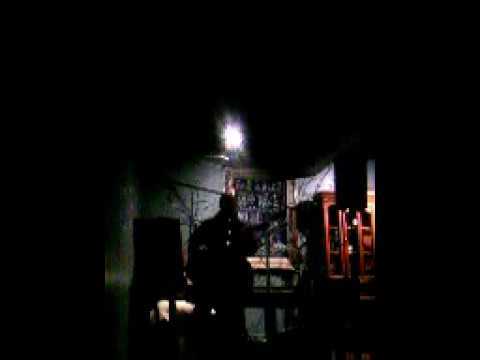 John... - Boulter/ live @ the attic bar/ skegness/ lincs./ uk 08.09.18. JOHN boulter - 'The Cancelled Earth, (Soundhouse, Leicester, UK, 11.09.18)'. John... - - 'the cancelled earth/ (soundhouse/ leicester/ uk/ 11.09.18)'. JOHN boulter - 'I Repeat Never, (Soundhouse, Leicester, UK, 18.09.18)'. John... - - 'i repeat never/ (soundhouse/ leicester/ uk/ 18.09.18)'. JOHN boulter - 'Got To Lose (Soundhouse, Leicester, UK, 18.09.18)'. 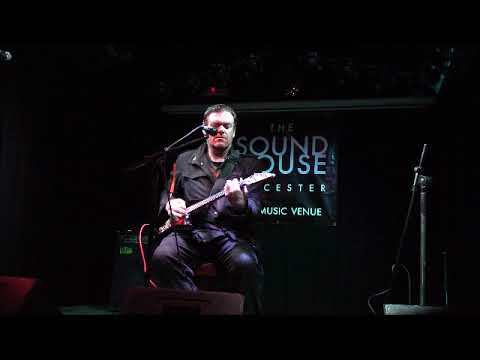 John... - Boulter - 'got to lose (soundhouse/ leicester/ uk/ 18.09.18)'. JOHN boulter, 'No-one Else No-one, ( live full electric, Soundhouse, Leicester, UK, 11.09.18.)'. Composition performed with full-band backing track. 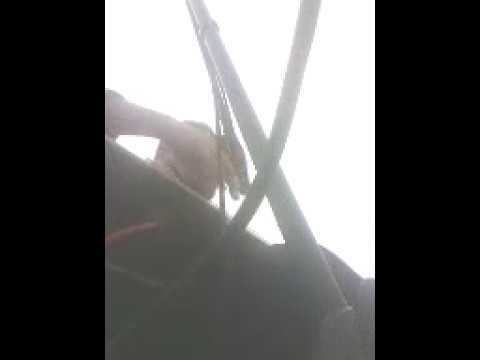 JOHN boulter - 'The Mind At Rest (busking, Sidmouth, Devon, UK, August 2018)'. 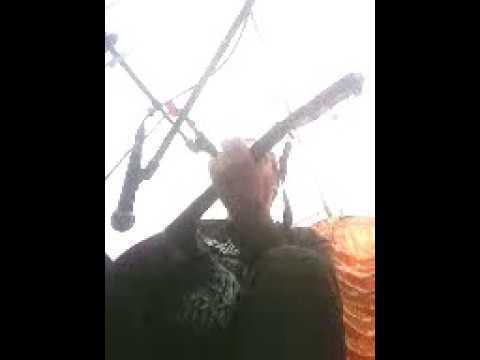 John... - Boulter - 'the mind at rest (busking/ sidmouth/ devon/ uk/ august 2018)'. JOHN boulter live, Dukes, Sidmouth, Devon, UK, 10.08.18. Setlist : I End (Here), Death Like Ours, The Mind At Rest. John... - Boulter live/ dukes/ sidmouth/ devon/ uk/ 10.08.18. JOHN boulter, live, Elbow Room, Hinckley, Leics., UK, 02.08.18. Setlist : I End (Here), Death Like Ours, The Mind At Rest. John... - , live/ elbow room/ hinckley/ leics./ uk/ 02.08.18. JOHN live @ the Soundhouse, Leicester, UK, 31.07.18. Setlist : Death Like Ours, Secret Race, I End (Here). John... - Live @ the soundhouse/ leicester/ uk/ 31.07.18. 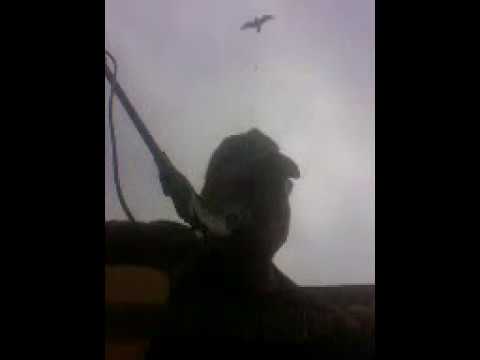 John... - -'grey stratus and black stream' - a film short - remastered. 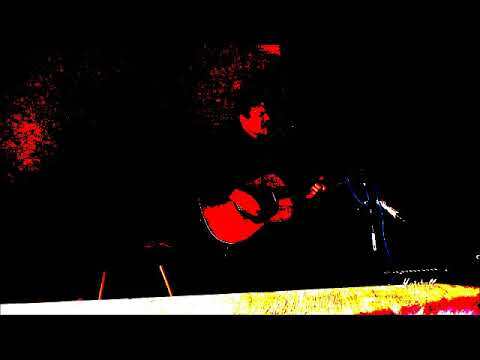 JOHN live @ the White Bear, Hinckley, Leics., UK, 17.7.18. Setlist : I End (Here), Death Like Ours, The Mind At Rest. John... - Live @ the white bear/ hinckley/ leics./ uk/ 17.7.18. JOHN live, acoustic stage, Rock And Bike Fest, Derby, UK, 13.7.18. Setlist : The Mind At Rest, Secret Race, Death Like Ours, Own, The Cancelled Earth, I End (Here), Blind This Time. 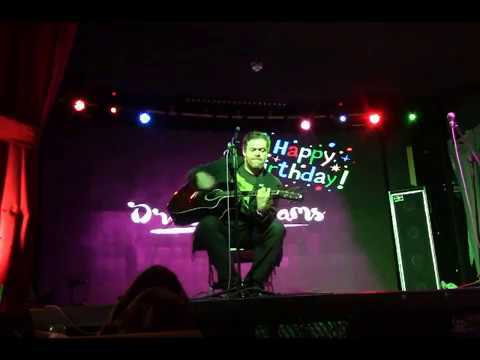 John... - Live/ acoustic stage/ rock and bike fest/ derby/ uk/ 13.7.18. JOHN boulter, live acoustic, The Shed, Leicester, UK, 09.07.18. Tracks : I End (Here), Death Like Ours. John... - Live acoustic/ the shed/ leicester/ uk/ 09.07.18. JOHN - live electric, the Musician, Leicester, UK, 25.06.18'. 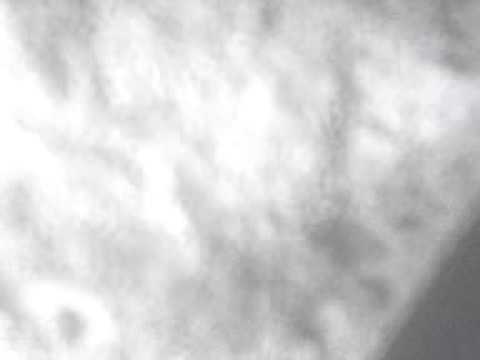 Tracks : Death Like Ours, Secret Race. John... - - live electric/ the musician/ leicester/ uk/ 25.06.18'. 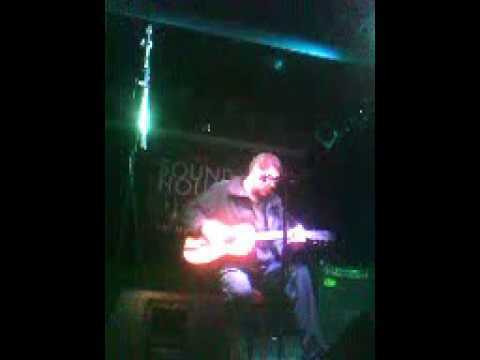 JOHN boulter - 'Dying, Just Dying (w. full-band backing track, the Soundhouse, Leicester UK, 18.06.18)'. John... - - 'dying/ just dying (the soundhouse/ leicester uk/ 18.06.18)'. 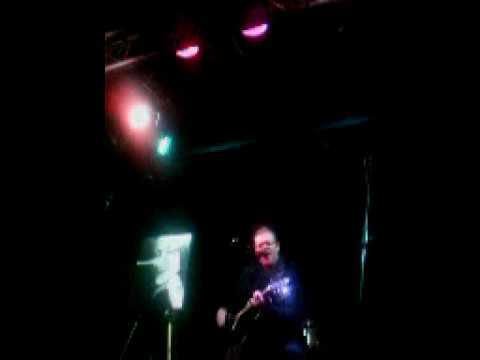 JOHN live @ the Attic, Skegness, Lincs., UK, 18.05.18. Setlist : The Mind At Rest, Secret Race, Death Like Ours, I End (Here), Blind This Time, Last Of All. 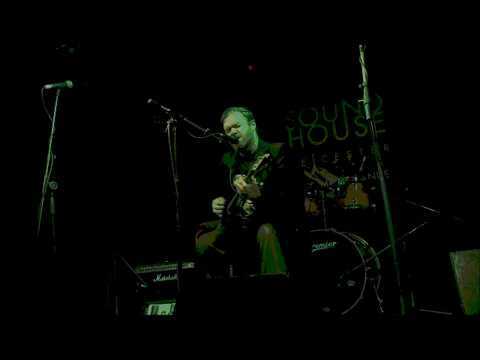 JOHN live, electric + full-band backing track @ The Soundhouse, Leicester, UK, 16.4.18. Setlist : The Mind At Rest (electric), I End (Here) (electric), No-one Else No-one (full-band backing track and electric, Got To Lose (full-band backing track and electric). 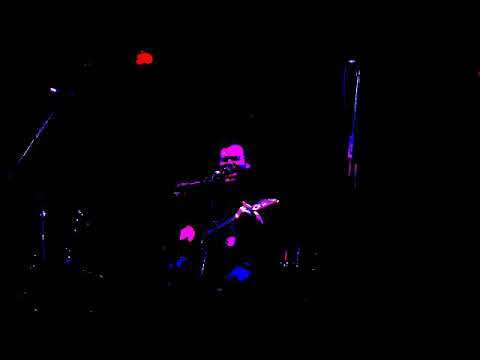 John... - Live/ electric + full-band backing track @ the soundhouse/ leicester/ uk/ 16.4.18. 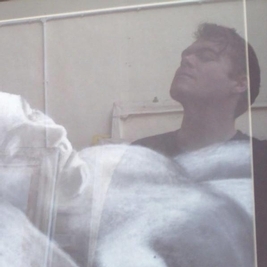 JOHN boulter - 'The Mind At Rest'/'Own' (busking, Whitby, Yorks., UK, 29.04.18)'. 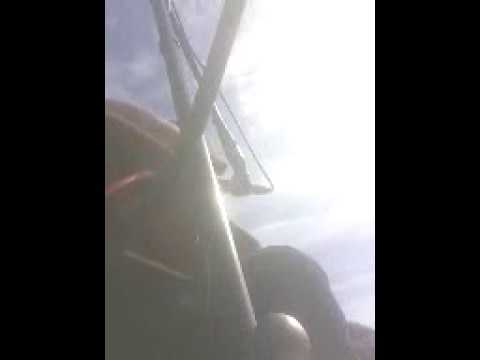 John... - - 'the mind at rest'/'own' (busking/ whitby/ yorks./ uk/ 29.04.18)'. WORLD AND EXAMPLE A new sky with the same threats, Another mountain of hours to tire and weaken in, Hundreds of miles away and still no release... 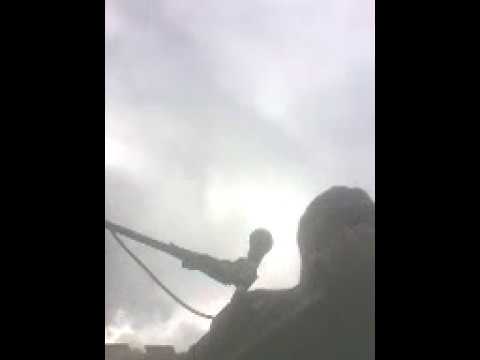 I remember and I hate them all..... (chorus) A real christian would've been taunted by whoever's death they hastened, WHEN YOU'RE READY TO BELIEVE - YOU'RE READY TO HATE! I keep working hard here, What I already know and have heard, Their words - they just keep ringing clear. 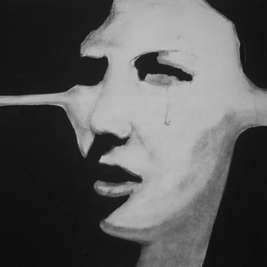 My only return is vendetta, Here, now, this age, There's no peace any' near...... (rpt. chorus x 2) And you'll then hate everything around, Your apparent care is to hide the collapse.... .... you've left lying down. They know what I was going through - But no, there was no rescue, I now spend my time making sure I'll never save them, Just plans for them to stay alive with scarred minds. For me, it's too late to be saved now, anyway The end's the only way out, Only when I close my eyes, Only when I've felt my inner last strike .... .....THE HATE IS OVER...... Copyright John Boulter 2017. Painting : 'A Grain Of Night Captured' - pastel, charcoal, chalk and acrylic on cardboard (2018) by John Boulter. JOHN boulter - 'The Cancelled Earth (busking, Whitby, UK, 29.04.18)'. John... - - 'the cancelled earth (busking/ whitby/ uk/ 29.04.18)'. 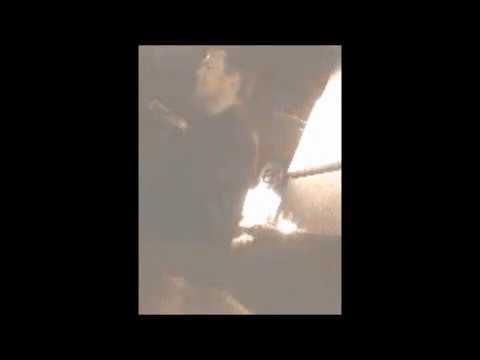 JOHN, 'Secret Race (live busking, Whitby, Yorks., 28.04.18)'. 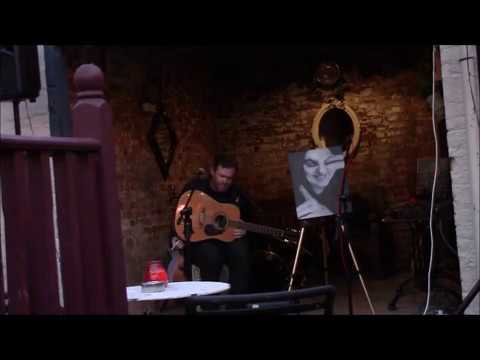 John... - , 'secret race (live busking/ whitby/ yorks./ 28.04.18)'. JOHN boulter, busking, Whitby, Yorks., 28.04.18. Tracks : Own, The Mind At Rest. John... - Boulter/ busking/ whitby/ yorks./ 28.04.18. 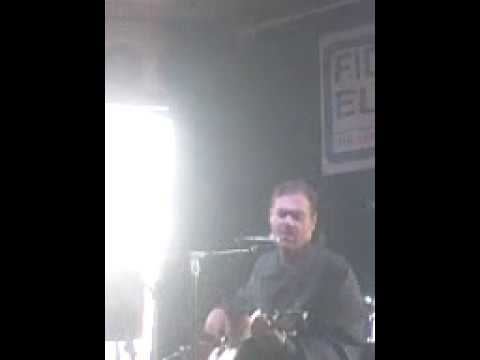 JOHN live @ The Fleece, Whitby, Yorks., 28.04.18. Setlist : Secret Race, The Mind At Rest, Death Like Ours, I End (Here). John... - Live @ the fleece/ whitby/ yorks./ 28.04.18.
live @ the Musician, Leicester, 19.3.18. 2nd evening show. Setlist : I End (Here), Loyalist And Mourner, The Mind At Rest. John... - . live @ the musician/ leicester/ 19.3.18. 2nd evening show. JOHN live @ the Shed, Leicester, 19.3.18. 1st evening show. 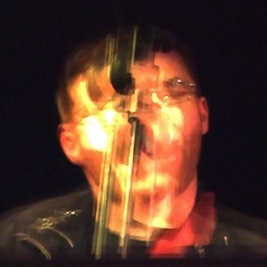 Setlist : I End (Here), Secret Race (inc. mic malfunctions at beginning), The Mind At Rest. John... - Live @ the shed/ leicester/ 19.3.18. 1st evening show. JOHN live @ the Soundhouse, Leicester, UK, 27.2.18. Setlist : Blind This Time, Own, I End (Here). John... - Live @ the soundhouse/ leicester/ uk/ 27.2.18. 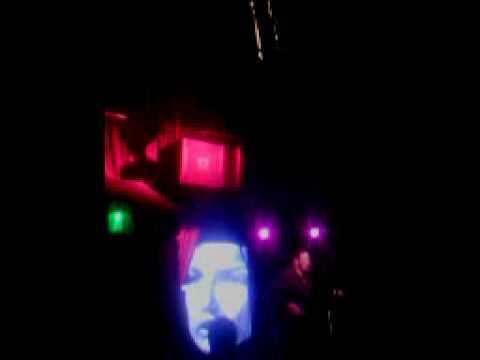 JOHN live @ the Dublin Castle, Camden, London, UK, 30.01.18. Tracks : The Mind At Rest, Secret Race. Despite starting to recover from particularly bad 'flu, debut at the renowned Dublin Castle goes on. 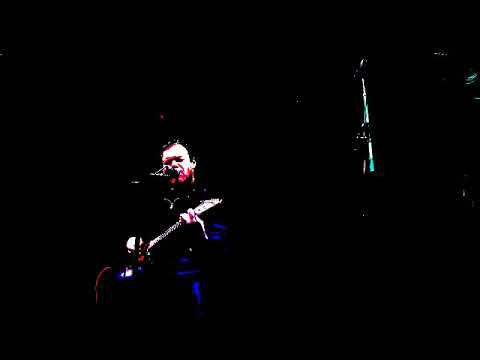 John... - Live @ the dublin castle/ camden/ london/ uk/ 30.01.18. JOHN live @ the Soundhouse, Leicester, UK, 16.1.18. 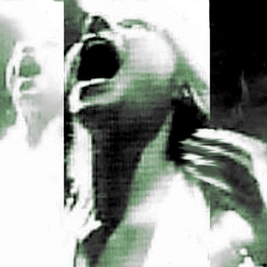 Setlist : I Am As I Remember You, You'll Breathe At The End Of Time, The Cancelled Earth. John... - Live @ the soundhouse/ leicester/ uk/ 16.1.18. JOHN live @ the Soundhouse, Leicester, UK, 09.01.18. Setlist : Death Like Ours, Got To Lose, I End (Here). John... - Live @ the soundhouse/ leicester/ uk/ 09.01.18. JOHN live @ The Musician, Leicester, UK 08.01.18. 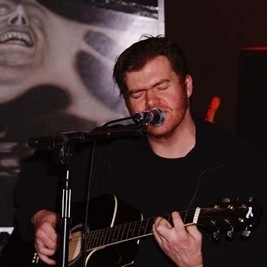 Setlist : I End (Here), Death Like Ours, The Cancelled Earth. Second of 2 sets of the night. John... - Live @ the musician/ leicester/ uk 08.01.18. JOHN live @ the Shed, Leicester, UK, 08.01.18. Setlist : I End (Here), Secret Race, The Mind At Rest. With art slideshow. First of the evening's two shows. John... - Live @ the shed/ leicester/ uk/ 08.01.18. JOHN 'I End (Here)'/'The Cancelled Earth', the Soundhouse, Leicester, UK, 19.12.17. John... - 'i end (here)'/'the cancelled earth'/ the soundhouse/ leicester/ uk/ 19.12.17. JOHN live @ the Manhattan, Leicester, UK, 11.12.17. Second of 2 evening shows. 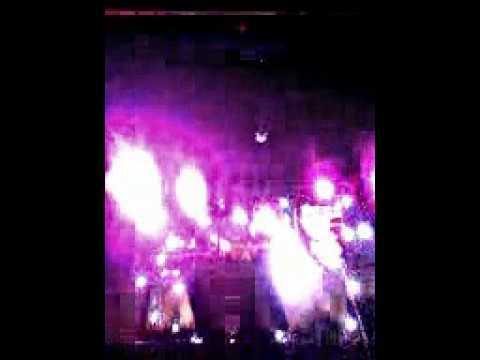 Setlist : Secret Race, Death Like Ours, I End (Here). John... - Live @ the manhattan/ leicester/ uk/ 11.12.17. second of 2 evening shows. JOHN live @ The Shed, Leicester, UK 11.12.17. Setlist : The Mind At Rest, Blind This Time, Death Like Ours. First of 2 evening shows. John... - Live @ the shed/ leicester/ uk 11.12.17. first of 2 evening shows. JOHN live @ the Manhattan, Leicester, UK, 13.11.17. Setlst : I End (Here), Secret Race, The Mind At Rest. Second of 2 performances on the night. John... - Live @ the manhattan/ leicester/ uk/ 13.11.17. second of 2 performances on the night. JOHN, live @ the Shed, Leicester, UK, 13.11.17. Setlist : The Mind At Rest, Secret Race, I End (Here). First of 2 performances of the night. John... - Live @ the shed/ leicester/ uk/ 13.11.17. first of 2 performances of the night. JOHN, live @ the Soundhouse, Leicester, UK, 31.10.17. 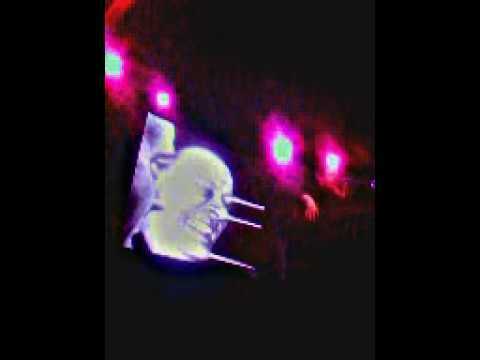 Tracks : Death Like Ours, Glacier Ground, I End... read more (Here). John... - , live @ the soundhouse/ leicester/ uk/ 31.9.17. 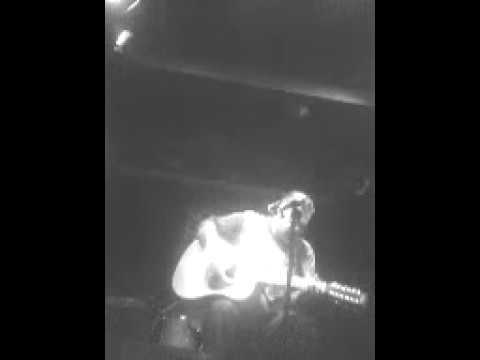 JOHN live @ the Musician, Leicester, UK, 09.1O.17. Setlist : The Mind At Rest, Glacier Ground (first time played), I End (Here), Blind This Time. 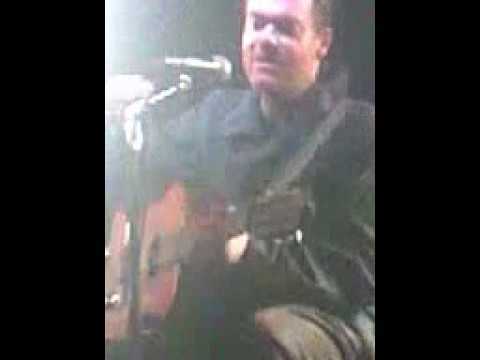 John... - Live @ the musician/ leicester/ uk/ 09.1o.17. JOHN live @ the Musician, Leicester, UK, 02.10.17. Setlist : Own, You'll Breathe At The End Of Time, I End (Here). John... - Live @ the musician/ leicester/ uk/ 02.10.17. JOHN - 'The Mind At Rest'/'I End (Here)', (Elbow Room, Hinckley, Leics., UK, 7.9.17). John... - - 'the mind at rest'/'i end (here)'/ (elbow room/ hinckley/ leics./ uk/ 7.9.17). JOHN live @ the Musician, Leicester, UK, 18.9.17. Setlist : I End (Here), Secret Race, The Mind At Rest. John... - Live @ the musician/ leicester/ uk/ 18.9.17. JOHN live @ the Sitwell Tavern, Derby, UK, 11.9.17. Setlist : The Mind At Rest, Secret Race, The Cancelled Earth, Got To Lose, Own, Death Like Ours, I End (Here). 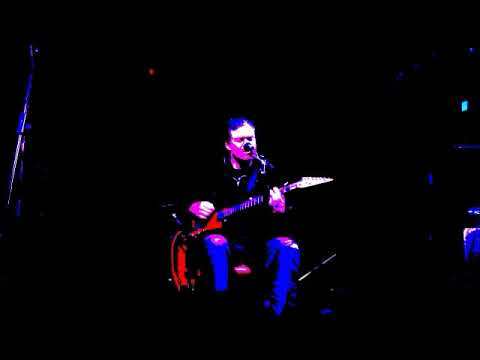 John... - Live @ the sitwell tavern/ derby/ uk/ 11.9.17. JOHN live busking, Sidmouth, East Devon, UK, August 2017. Tracks : The Mind At Rest, Secret Race. John... - Live busking/ sidmouth/ east devon/ uk/ august 2017. JOHN live @ the Musician, Leicester, UK, 4.9.17. Setlist : Death Like Ours, Blind This Time, The Cancelled Earth (w. backing track). John... - Live @ the musician/ leicester/ uk/ 4.9.17. JOHN - 'The Cancelled Earth:segment (live busking, Sidmouth, UK, 25.8.17)'. 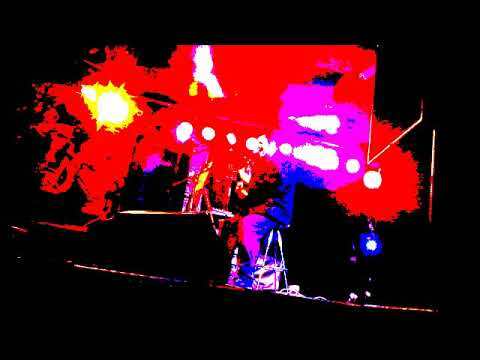 John... - - 'the cancelled earth:segment (live busking/ sidmouth/ uk/ 25.8.17)'. JOHN - 'Secret Race (live busking, Whitby, UK, 21.8.17)'. 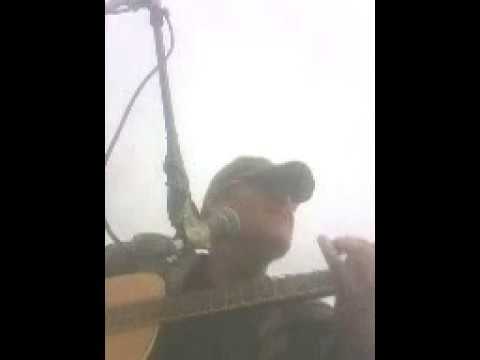 John... - - 'secret race (live busking/ whitby/ uk/ 21.8.17)'. 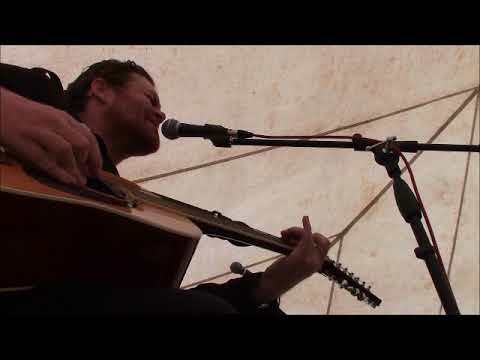 JOHN - 'The Mind At Rest/The Cancelled Earth/Secret Race(live busk, Sidmouth, UK. Aug. '17)'. 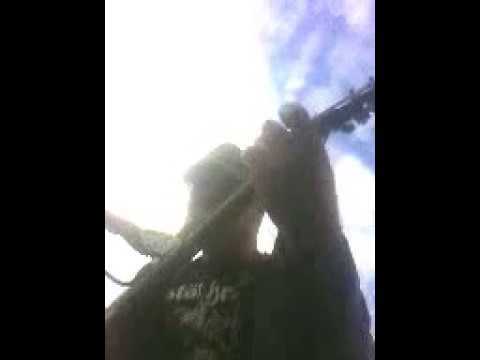 John... - - 'the mind at rest/the cancelled earth/secret race(live busk/ sidmouth/ uk. aug. '17)'. JOHN - 'Little Girl Near', Soundhouse, Leicester, UK, October 2015. 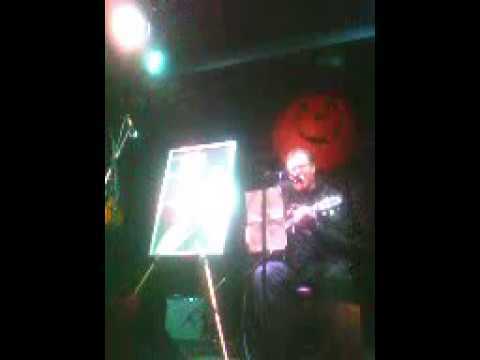 John... - - 'little girl near'/ soundhouse/ leicester/ uk/ october 2015. John... - - live @ the musician/ leicester/ uk/ 31.07.17. JOHN - live @ the Soundhouse, Leicester, UK, 24.07.17. 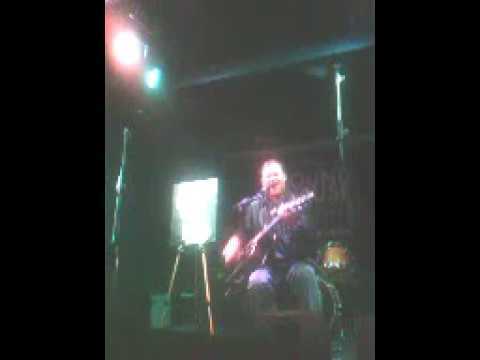 Performing 'The Mind At Rest' and 'Death Like Ours' acoustically prior to 'The Cancelled Earth' with backing track on separate footage. John... - - live @ the soundhouse/ leicester/ uk/ 24.07.17. 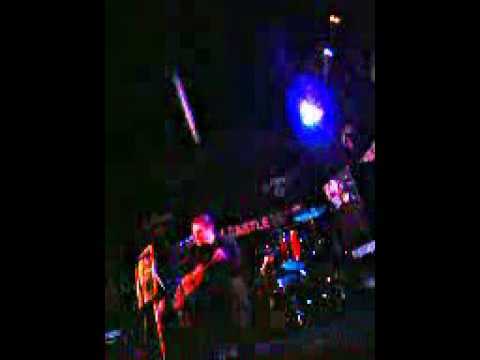 JOHN - 'The Cancelled Earth (w. backing track, Soundhouse, Leicester, UK, 24.07.17)'. 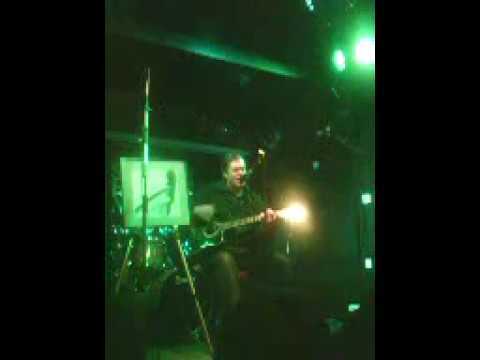 'The Cancelled Earth' performed with backing track for the first time. 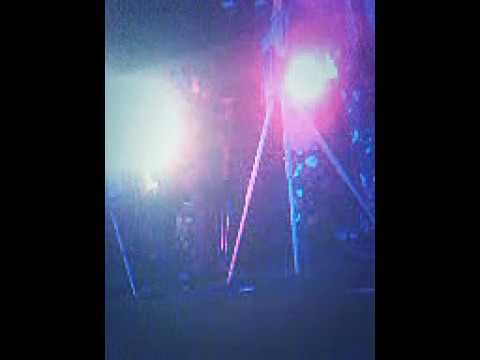 John... - - 'the cancelled earth (w. backing track/ soundhouse/ leicester/ uk/ 24.07.17)'. JOHN - 'Dying, Just Dying (live w. backtrack, Musician, Leicester, Uk, 3.7.17).' JOHN Boulter playing track off 2017 album release 'TAKEN SUDDEN' with full-band backing track. 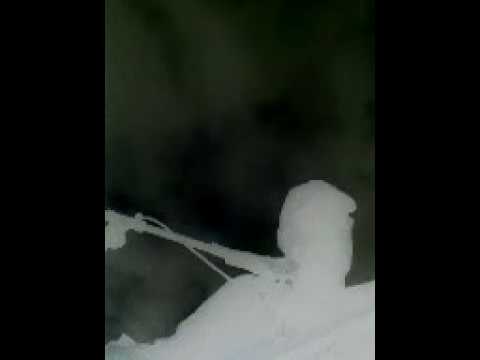 JOHN - 'Grey Stratus And Black Stream' - a film short. (2017). Written, performed, edited and produced by John Boulter. Total time : 12 mins 19 secs. Music and lyrics by John Boulter. 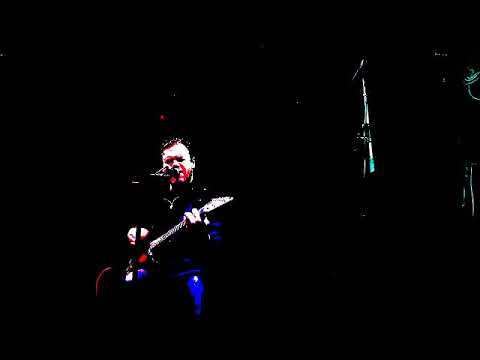 JOHN - 'Dying, Just Dying' w. backing track, Soundhouse, Leicester, UK, 13.06.17. 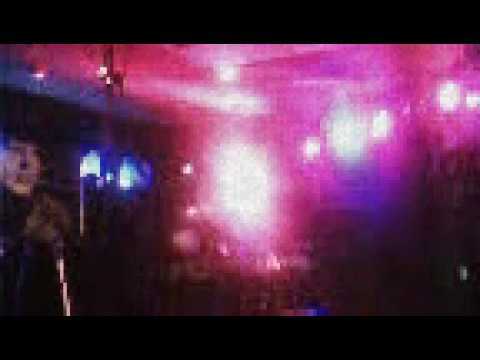 Track from January 2017 album release 'TAKEN SUDDEN' performed live with full-band backing track. Despite sore throat problems, show went ahead. 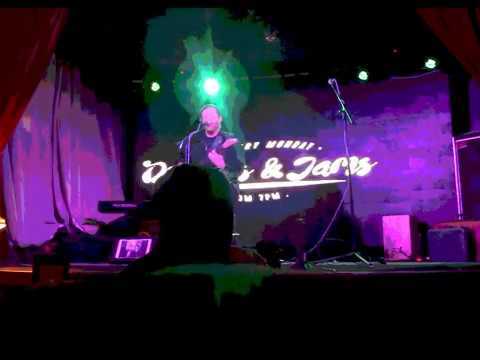 John... - - 'dying/ just dying' w. backing track/ soundhouse/ leicester/ uk/ 13.06.17. JOHN - Cambuskers Stage, Cambridge Strawberry Fair, 03.06.17. Setlist : The Mind At Rest, Secret Race, I End (Here), Blind This Time. John... - - cambuskers stage/ cambridge strawberry fair/ 03.06.17. JOHN live @ Fiddler's Elbow, Camden, UK, 22.04.17. Pt 3. Setlist Pt. 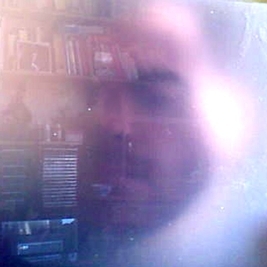 3 : The Mind At Rest, Grey Stratus And Black Stream, The Cancelled Earth, Got To Lose. 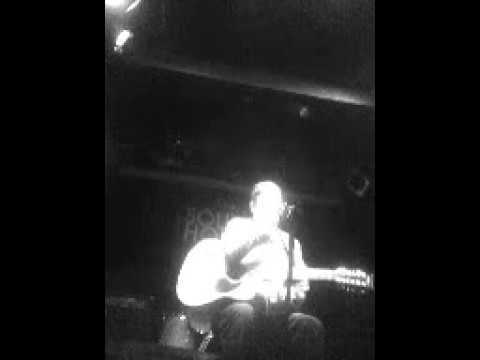 John... - Live @ fiddler's elbow/ camden/ uk/ 22.04.17. pt 3. 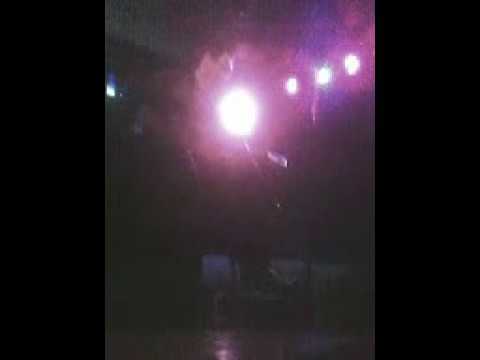 JOHN live @ the Soundhouse, Leicester, UK, O9.O5.17. Setlist : I Am As I Remember You, Blind This Time, Own. 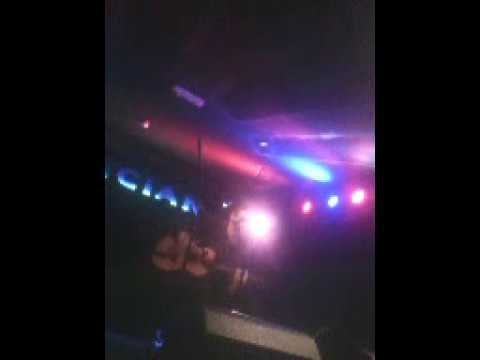 John... - Live @ the soundhouse/ leicester/ uk/ o9.o5.17. JOHN - 'Secret Race', Fiddler's Elbow, Camden, UK, 22.04.17. Pt. 2. GLACIER GROUND After this death, I'm now as one of two new kingdoms, As a berg in the sea with no other form around. (chorus) I've no choice but to find value in it all. Or a Heaven-fall, clinging on a mountain that furthers onto all others. (rpt. chorus x 2) It's just the way. I'm supposed to have to decide but either one allows itself each time, and I allow it, for I can breathe and live the state of any sea or I can grasp and walk along the mountains beyond.... ...And further on. (rpt.chorus x 2) In everything. 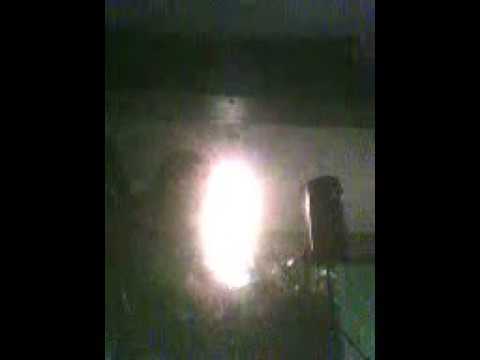 Written and performed by John. Copyright John 2017. Painting : 'They Laughed When You Died!. They Laughed When You Died!' 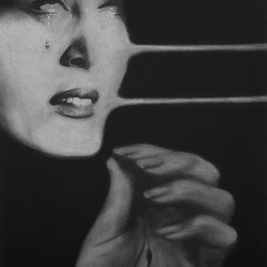 - pastel, charcoal, chalk and acrylic on cardboard (2017) by John. JOHN live @ Fiddler's Elbow, Camden, UK, 22.04.17. Pt 1. Setlist Pt. 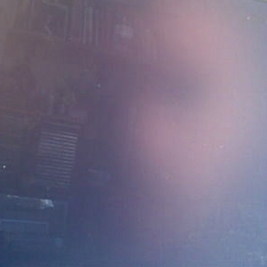 1 : I End (Here), Wider Visits / Following The Death, Own. John... - Live @ fiddler's elbow/ camden/ uk/ 22.04.17. pt 1.